The Renault Sport F1 Team will not have a new team principal, with some of the remaining members of the outfit sharing the responsibilities, according to Cyril Abiteboul. On Wednesday, it was confirmed that Fred Vasseur would resign from his role as team principal for the Formula 1 Team. Vasseur had a different opinion about the direction the Enstone outfit needed to take, than the senior management figures. At a media event for Renault technical partner Infiniti’s engineering academy at Autosport International Show, managing director for Renault F1 Cyril Abiteboul said there will not be a replacement for Vasseur, as he does not think it’s a necessity at the moment. “As far as I’m concerned we will not replace Fred in the capacity of team principal,” Abiteboul said. “We don’t feel shocked or weakened by the announcement. “It was something that was discussed at length with Fred. We tried to make it work, but at some point in time, when it’s obvious that it doesn’t work, we have to make a decision and move on. With a revamp at Renault’s engine base at Viry and re-staffing at the Enstone factory, Abiteboul will be able to attend every F1 race this year, where he will take on some of Vasseur’s responsibilities, and along with Ciaron Pilbeam, who moved from McLaren Honda Racing, will share track engineering duties. This will allow, Alan Permane, trackside director of operations, to work more closely with the drivers. Abiteboul feels Renault has a very strong structure, as they have been transferring staff from Viry to Enstone and recruiting more staff. With this revamped structure, he feels Renault has the capacity to absorb the loss of Vasseur without hiring a replacement. “We have a lot on our plate but we have a structure that is very robust and in which I personally believe,” Abiteboul said. “We’ve done lots of changes to the management structure in Viry. “I believe what we’ve done with Red Bull from an engine point of view is a demonstration that this structure is very capable. It’s a bit the same in Enstone. A lot of things have happened – we’ve had a transfer of staff from Viry to Enstone, Rob White has taken on the role of operations director. “We have recruited a lot. 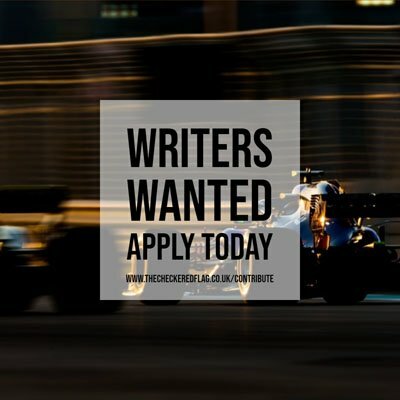 There will be more people joining the technical structure at a higher level at Enstone, reporting to Nick [Chester, chassis technical director]. One example is Ciaron Pilbeam, who’s coming from McLaren and is very keen to come back to Enstone.